Description: There are the problem of optimal separation of the graph into subgraphs and descriptions of the serial, parallel algorithms shows the efficiency of the parallel algorithm. in the paper. Sequential algorithm is implemented using the C programming language, the parallel - using MPI. Shmatkov, S.I., Tolstoluzhskaia, E.G. and Artiukh, Iu.A. 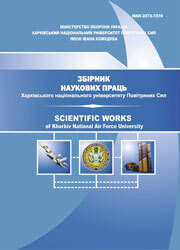 (2013), “Analiz rasparallelivaniia algoritma zadachi optimalnogo razdeleniia grafa na podgrafy”, Scientific Works of Kharkiv National Air Force University, Vol. 2(35), pp. 132-134.